So you live in beautiful Southern California. You might be going through some hardships in life, it happens to the best of us and you might be wondering, “What is the best way to sell a house fast in Southern California”?You may be downsizing or planning to move to another city. Or maybe you need to sell because of a pressing issue then know that selling your house may not be as quick as you’d need it to be. What is more frustrating than to settle for a less than optimal price to sell your house all because there was not sufficient time? 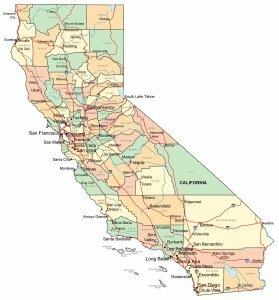 Please read the following best ways you can use to sell your house in California if you are worried you might not be able to sell your house in time. -You will have to set the right price at the start. Wel,, first you will need to find out how much your house is really worth? Any real estate agent will be happy to help you. They may ask for a fee, or you might just already know someone that has access to the MLS. They’ll be able to pull out comparable and give a professional look at the value of your home. Enhancing the curb appeal will dramatically add some value to your home. This refers to enhancing the attractiveness of your front and backyard gardens, flowers and porch. You can look at some designs online and add some colorful pots for plants, planting new flowers and trimming excess grass. Don’t forget about painting the mail box! When prospective buyers come to survey your house you will probably want to remove any personal items or belongings. The more personalized they see your house; the less they can imagine living in it themselves. A buyer usually will visualized where they’ll want their own personal belongings to fit. You would want to help them imagine exactly where they can put their furniture, TV and other items. Good luck! You’ll get an offer in no time at all. Any other questions you may have please feel free to reach us. Do you have a property that is giving you a lot of problems? Please fill out the form below.